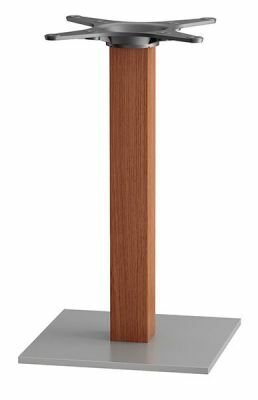 This stand can hold most tops up to 800mm in width or diameter. The central column features a lovely Beech finish. The base is complete with a stunning brushed steel Inox base. Commercial grade café tables with a square column in beech and square brushed stainless steel base. Suitable for use in a wide range of applications.